Many eye diseases affect the physical features and shape of the anterior surface of the cornea. These conditions can produce corneal shape anomalies such as irregular astigmatism that result in visual impairment. 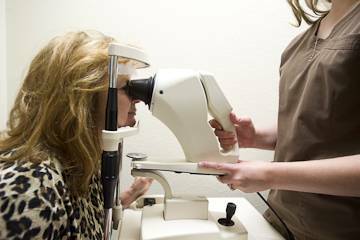 Corneal topography is performed with a non-contact instrument called a corneal topographer. These instruments work by projecting light rings onto the cornea and then using a computer to analyze the reflected image.